You are here: Home / Blog / Education / Spice It Up! Turmeric, It’s More Than Just A Spice! Turmeric has recently become the hottest new alternative therapy in today’s society. So, what is the deal with turmeric? What can you actually use it for? How does it help the human body? Turmeric is a member of the ginger family and is traditionally used in curries, tea, cosmetics, preservatives, and a coloring agent. Asian cultures have used turmeric for hundreds of years as a medical herb due to it’s antioxidant and anti-inflammatory properties. Recent studies have concluded that turmeric is the most effective supplement in existence. What does Curcumin actually do? How can Turmeric help the body? Turmeric matches the effectiveness of some anti-inflammatory drugs without the side effects of NSAIDS. Recent studies have shown that patients with mild to moderate OA reported improvements in pain levels, stiffness, and physical function. Studies report reducing total cholesterol by 11.63% and increasing “Good” cholesterol by 29% when taking turmeric regularly. Recent studies have also started to look at the use of turmeric in fighting degenerative processes in the brain, such as Alzheimer’s and Parkinson’s Disease. 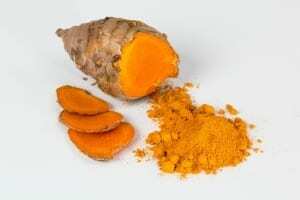 Current research is also starting to look at how turmeric can help prevent the spread and development of cancer cells. The results of these studies remain unknown at this time. The FDA is considering Turmeric “Generally Recognized as Safe”. But, as with any alternative therapies and medications, please talk to your doctor before including turmeric supplements into your daily regimen. Cucumin: A Review of It’s Effects on Human Health. Foods. October 2017. Tumeric For Health: 100 Amazing and Unexpected Uses for Turmeric. Britt Brandon, CFNS, CPT. 2016. Adams Media.